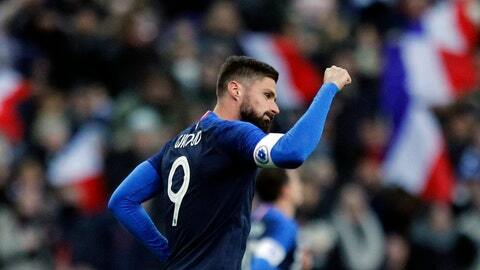 PARIS (AP) — Olivier Giroud scored from the penalty spot for France as the world champion beat Uruguay 1-0 in a friendly match on Tuesday to conclude an exceptional year with a rather mundane display. Mbappe was at the heart of most of France’s chances before his injury. He missed a good chance 15 minutes in when he collected a pass from Antoine Griezmann and broke into the box but completely fluffed his shot.